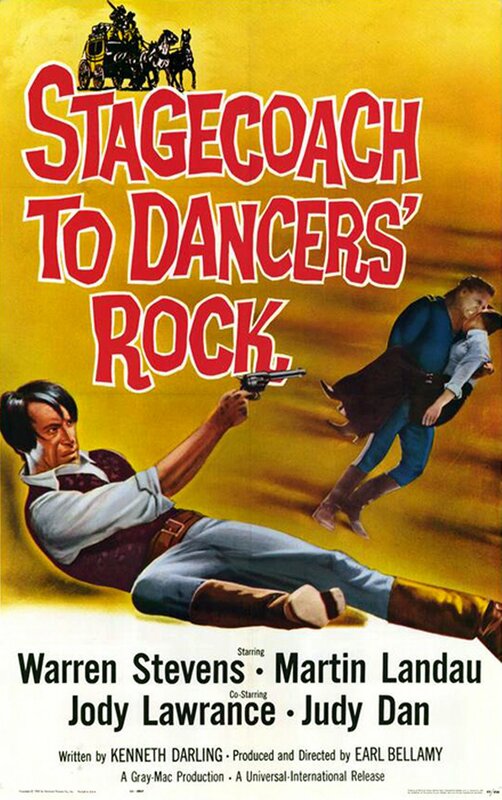 Martin Landau is Dade Coleman, a gambler and cheat who finds himself on a stagecoach headed to Fort Yuma via Dancers Rock. Also on the stage: a lady doctor in training, a cavalry officer, an Indian agent and a young Chinese woman bound for San Francisco. But between bandits and warring Apache, this promises to be a troublesome trip. Its made more troublesome when Loi Yan comes down with chicken pox. Fearing its smallpox, the stage abandons most of the group in the middle of the desert..